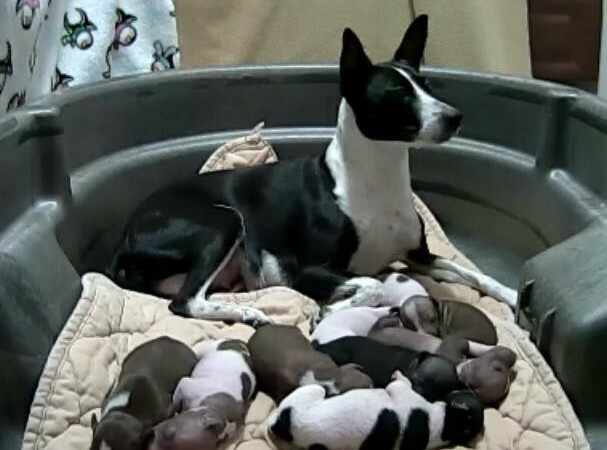 The Journey x Perry pups were born on Feb 6, 2015! They had 9 beautiful pups: 8 hairless, 1 coated. We have a mixture of piebalds and solids and chocolates and blacks. See the bottom of the page for pics of the pups! Journey has her Grand Champion title in UKC and was also ranked in Top 10 in UKC for all years (2009-2011 then 2013 – she had been given 2012 off to have her first litter), including 2 years where she ended as the #1 AHT in the country (2009, 2010). In AKC (where we are only in Miscellaneous – so only eligible for a Certificate of Merit (CM)) she has earned her CM title. 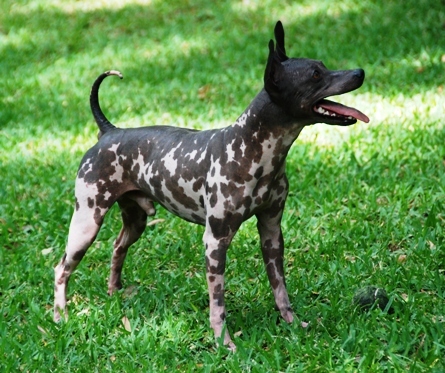 She is also highly lure motivated and has lure coursing titles in both UKC and AKC. 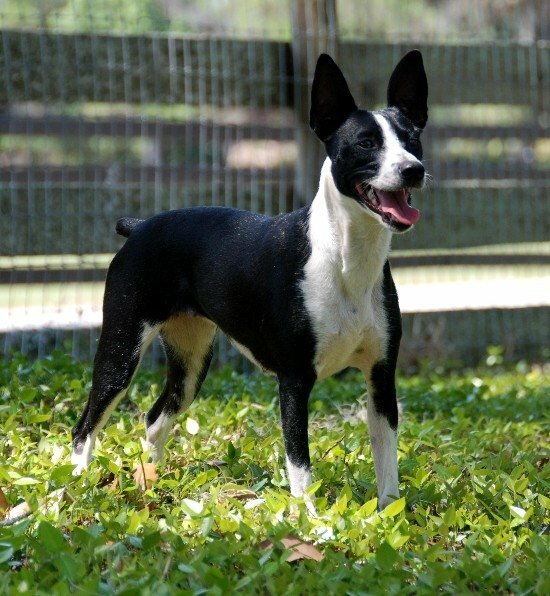 She also has earned her Champion Steeple Racer title and a Grand Champion Flat Racer title in Terrier Racing. Journey is structurally lovely, with a wonderful, gentle temperament. Perry was born in Finland but goes back to our lines (grandson). He was selected given his temperament, pedigree, and structure (complements Journey’s structure beautifully). Like Journey, Perry has had a very successful conformation career. He also has his AKC CM title and a GRCH title in UKC. Perry has won AHT Specialties and was ranked in UKC Top 10 (#2 in 2010, #6 in 2011). Perry loves to play fetch with his ball, but he is not really a racer or lure courser. He’s more of a lap sitting kinda guy! He’s super sweet and a true love. Both Journey and Perry have passed all health clearances (knees, hips, eyes, heart, liver). All of the pups have already found their FOREVER homes!! beautiful Litter! Journey and Perry did good!